Who says NO to pizza, no one, ever! – MAASI IS TRYING! Who says NO to pizza, no one, ever! 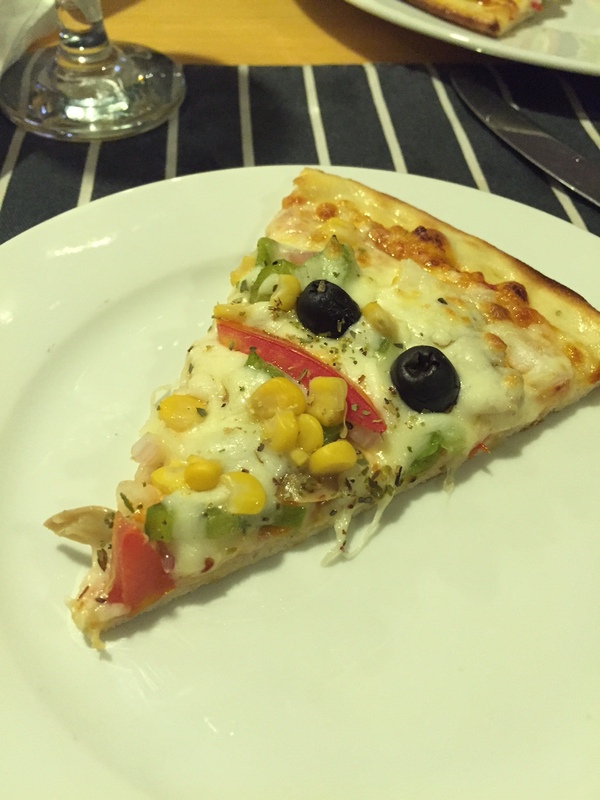 Having the opportunity to enjoy a good thin crust pizza and that too which is appealing to eyes as well is rare. As my daughters were on their own to a trip to New York with their grand father (lucky them) couple of weeks back, I went with my hubby and my 61/2 years old son, to try a new restaurant. My little one was blackmailing us like any thing and we were pampering him like our first born. I wanted to have Chinese and enjoy a hot bowl of soup but no sir! the prince wanted to have a pizza. 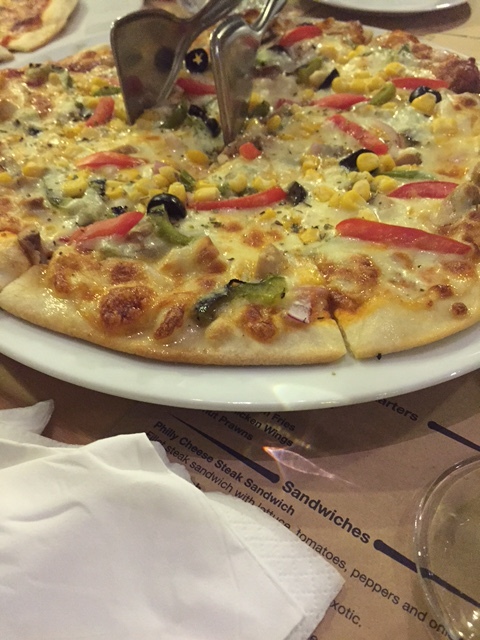 So we went to this new place discovered by the hubby called “pizzeria by Nishat”. I had doubts about the new venture until I was served their thin crust cheese margarita and an all vegetarian. I wouldn’t be exaggerating if I say that it was few of the best thin crusts I ever had. The flavours were really good as well but it was more the colourful combo of jalapeños and peppers that really caught my attention. And the best part of it all was that I could witness how the pizza was being made in the beautiful brick oven. 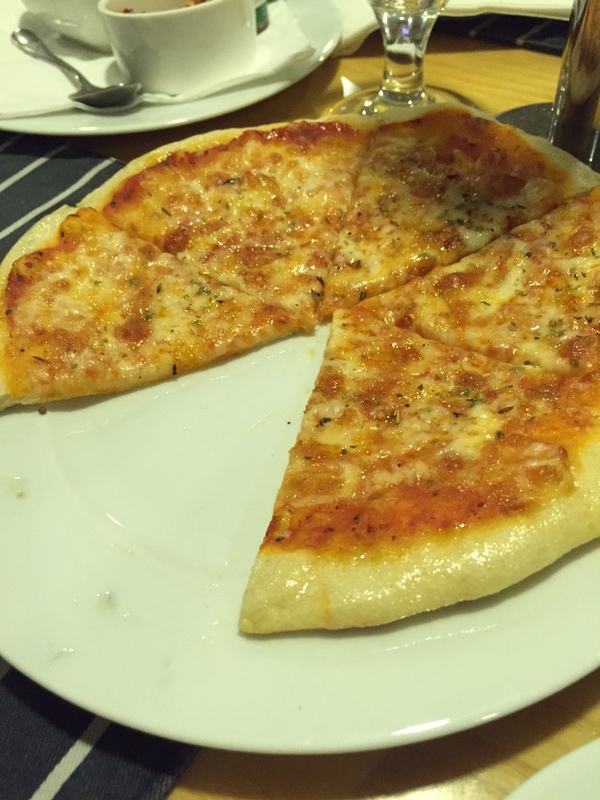 From the chef’s expert rolling of the dough to the sprinkling of the yummy toppings and finally both the cheeses, it was a feast to the eyes to watch and I already had imagined myself eating it even before I actually was.